Located in the heart of Derby, this aparthotel is within 2 mi (3 km) of Derby Visitor Centre, Derby Jetty, and Norval Gallery. Derby Golf Course and Derby Race Course are also within 3 mi (5 km). Situated on the Strip, this motel is 0.2 mi (0.4 km) from Derby Visitor Centre and within 3 mi (5 km) of Derby Jetty and Derby Golf Course. Derby Race Course and Boab Prison Tree are also within 6 mi (10 km). Situated in Derby, this motel is within a 15-minute walk of Norval Gallery and Derby Visitor Centre. Derby Golf Course and Derby Race Course are also within 1 mi (2 km). Situated on the Strip, this apartment building is within 2 mi (3 km) of Derby Visitor Centre, Derby Jetty, and Norval Gallery. Derby Golf Course and Derby Race Course are also within 3 mi (5 km). Central Derby is lacking in accommodation options. If you don't mind a bit of a drive, you can book a room in any of the 4 options within 10 kilometres. 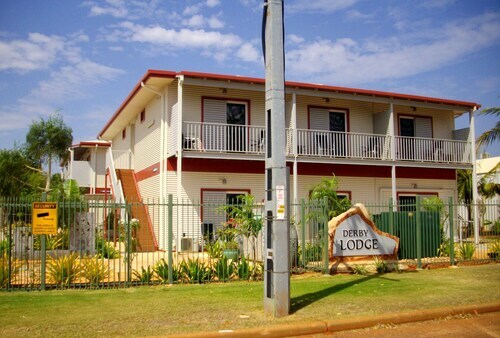 Some of the most comfortable places to stay close to the action are the Derby Boab Inn and Spinifex Hotel. If you're still looking for a place to set up base in Derby, don't despair just yet. Take a look at the Derby Lodge, 11 kilometres from the city's heart. 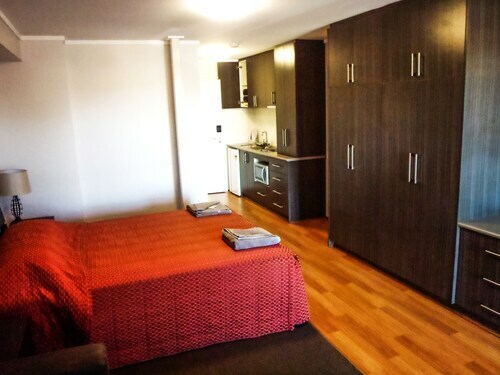 Another choice is the Derby Lodge Self Contained Apartments, 11 kilometres away. It would be almost criminal to farewell Derby without seeing at least some of the other charms that The Kimberley has to offer. Explore beaches, rivers, streams and cliffs, enjoy a day of rock climbing, mountain climbing and hiking, or just take in the local attractions. The Kimberley region offers something for all. Broome International Airport is the most practical airport, and is located 170 kilometres away from the centre of Derby. 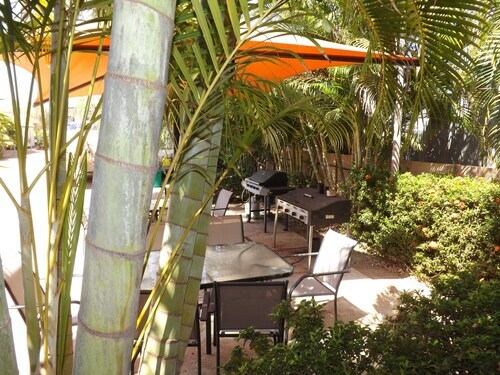 Conveniently located hotels include the Cable Beach Club Resort & Spa and the Seashells Broome. How Much is a Hotel Room in Derby? Hotels in Derby start at AU$118 per night. Prices and availability subject to change. Additional terms may apply. Stayed in the single room. Bed was comfortable, room clean and presentable. Meal was excellent. Clean basic room, conveniently close to town. We were only in town overnight so it was perfectly adequate for our purposes. The motel room was pleasant and the location handy to the coast and shops.